A very obnoxious lp that is at best derivative of the previous 2 lp’s and at worst ear gratingly poppy. I can’t stand around 75% of the tracks. "You're a poor man's Donald Trump!" 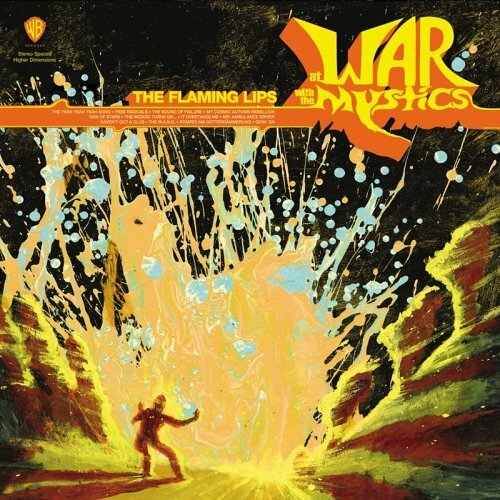 Purchasing At War With The Mystics from Amazon helps support Album of the Year. Or consider a donation? It Overtakes Me / The Stars Are So Big... I Am So Small... Do I Stand a Chance?